Translation of French business news is important to stay on top of developments in the global economy. News bits that might now receive a lot of attention in the English press worldwide may show up in French news. Therefore, French to English business translation is a key service for many companies. 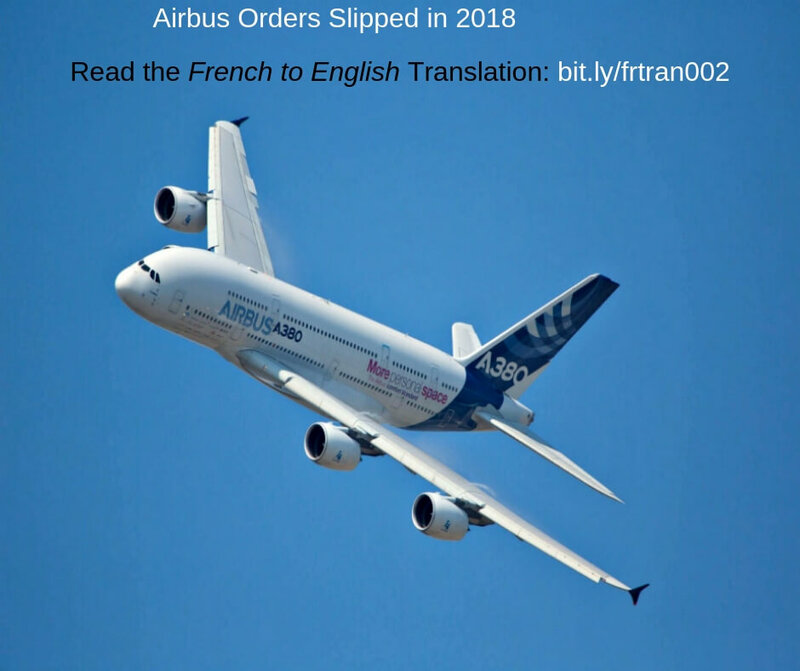 Given the prominence of Airbus as a symbol of pride for the European Union, this news was particularly interesting given the company’s rivalry with Boeing, the US-based plane manufacturer. The European aircraft manufacturer presented on Wednesday its order and delivery figures for the year 2018. When we say 747 in the aeronautical world, we immediately think of Boeing. But this Wednesday, this figure was put forward by its European competitor. This is the number of net orders booked last year by Airbus. While it presented an order book at the end of November with only 380 aircraft, in the last few weeks of the year, the aircraft manufacturer recovered. In December, it announced a series of major orders, bringing it to 747 aircraft in total, down from 1,109 in 2017. Do you have a French Business translation project?